Anton Matthews, who will be teaching the free te reo Māori class coming to Timaru. How to pronounce Timaru will be just one of the takeaways from a touring te reo Māori class. Close to 50 people from the South Canterbury town have registered for a free language class at Caroline Bay Hall on Monday, to learn what Christchurch organisers Jess and Anton Matthews call "pidgin Māori". "It's definitely exciting to have that many on board so far," Jess Matthews said. "What we're teaching is something different to what you usually see at a beginner's class." A typical introductory lesson might teach vocabulary, but tutor Anton Matthews focused on words and phrases used "over and over again" - such as homai, which means pass or give (to me) - and encouraged people to mix them with English. "You will ask someone one million times a day to pass something so it's really useful," Jess Matthews said. "It's just giving people the tools and making them feel it's something exciting and not scary. "Over 50 per cent [who come] are Pākehā who are really, really hungry to learn the language and have a little more understanding." The couple first hosted a class in Christchurch about a year ago. 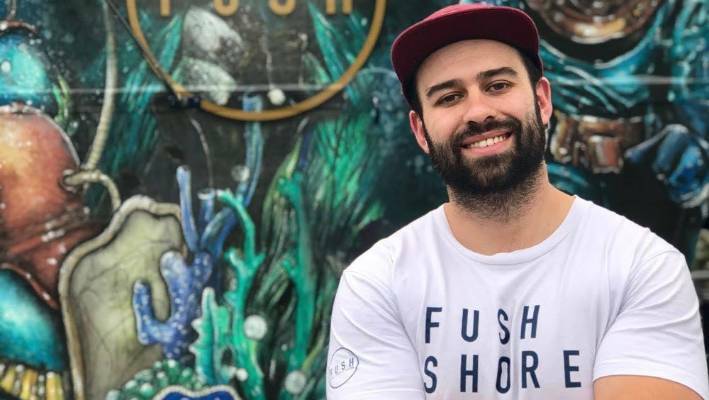 They intended to teach out of their fish and chip shop, Fush, in Wigram, but were forced to book out the Christchurch Boys' High School auditorium after getting more than 600 registrations. The feedback from their Christchurch class, as well as their recent visits to Greymouth and Westport, was people left keen to do more research into the language. Jess Matthews said what inspired the classes was her experience as a Pākehā mother raising Māori children, aged 5 and 6. "Only since they were born have I been able to learn with them. Kids don't judge so you can just give things a go and there's no worries," she said. The Timaru venue had room enough for 350 people, she said. "There's plenty of room for people, and we're always happy for families to come along. "This is a really nice chance to give it a go." Food will be available to purchase from 4pm, ahead of the 6-8pm class.